MTS telecom operator launched a countrywide interactive television service with the capacity for integration with third party online and cloud services into its own TV STB. One of the first partners to utilize this possibility was an international VOD/OTT service MEGOGO. 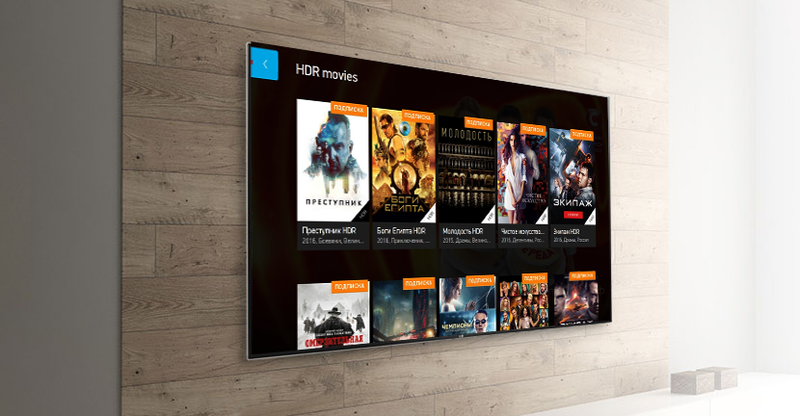 Users of the MTS set-top box got access to MEGOGO video content, in particular, acclaimed serial “Taboo”, latest movies like “Demain tout commence”, “Gravitation”, “Mes trésors”, “Mechanic”, “Kitchen: the Last Battle” and others. “In fact, we created a new VOD-application built into existing service that differs from other offers on the market with the most easy-to-use interface and a set of products. Designing the product and its pricing, we developed the solution based on the MTS TV user preferences and the availability of other options in the console. Therefore, our SVOD catalogue includes only current content with the optimal set of movies, cartoons and serials,” – says general director of the MEGOGO in Russia Victor Chekanov. According to Natalia Bratchikova, director of the fixed business marketing and TV department at MTS, interactive TV was created as a family media communications center, in which all media content from MTS and partner’s products were put together. “This became possible due to the creation of an application development ecosystem within the framework of the MTS TV project, the use of which by third-party companies will not require the involvement of the resources of TV platform vendors. MTS, perhaps, was the first among the major Russian telecom operators to invest persistently into development of such an environment for partners,”- comments Natalia Bratchikova. MTS interactive TV service is provided on paid subscription bases of two types – a subscription catalogue (SVOD) and premium content (TVOD) in HD quality.